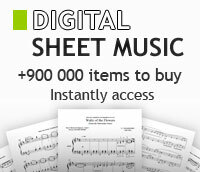 All Michael Nyman piano sheet music books. Celebrating 100 Years of Disney Magic. Arranged by Mac Huff. (SAB). Disney Choral. Size 6.75x10.5 inches. 72 pages. Published by Hal Leonard. By Mike Batt, Andrew Lloyd Webber, Richard Stilgoe, Charles Hart. Arranged by Ed Lojeski. (SAB). Pop Choral Series. Size 6.75x10.5 inches. 24 pages. Published by Hal Leonard. By Felix Mendelssohn. Text: Franz Emanuel Geibel. For SSA Choir, keyboard. (Womens Voices). Marian Festival. Choral. Published by E.C. Schirmer Publishing. By Orlando di Lasso, arranged by Russell L. Robinson. Octavo for 3-Part mixed double choir (a cappella). Series: Alfred Choral Designs. 12 pages. Published by Alfred Publishing. From West Side Story. Composed by Leonard Bernstein (1918-1990). Arranged by Mac Huff. Broadway Choral. Broadway, Concert, Inspirational. Octavo. 8 pages. Published by Hal Leonard (HL.242760).